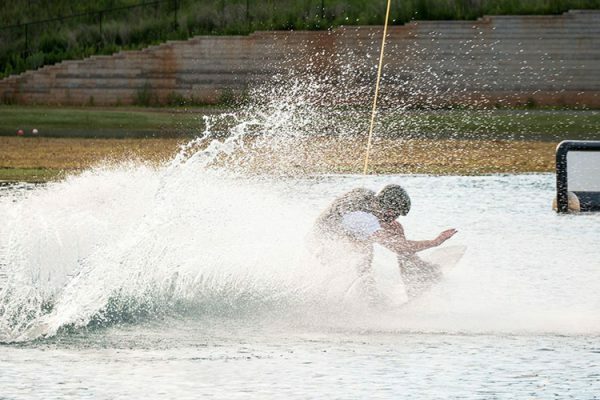 Terminus Wake Park is Georgia’s first cable wake facility designed for all ages and skill levels! 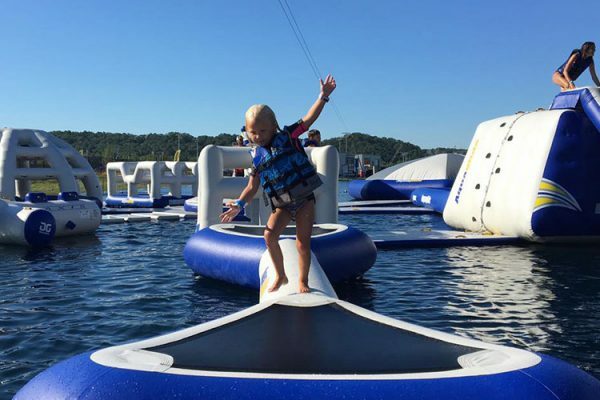 We have two full-sized cable lakes, a Learn-to-Ride cable, and the Aqua Park – our inflatable obstacle course on the water. 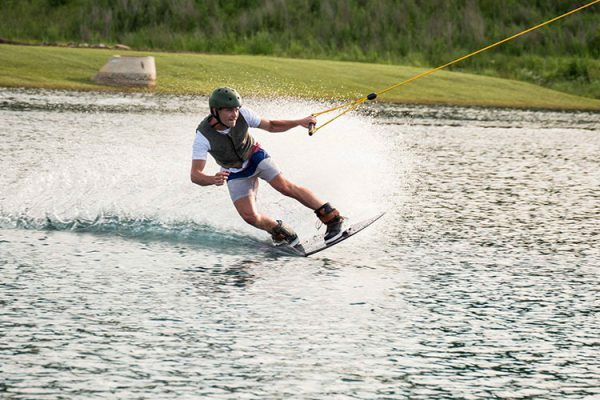 A cable system allows participants to enjoy towed water sports without a boat. It can tow nearly anything a boat can to include wakeboarders, wakeskaters, water-skiers, kneeboarders and more. Six Towers are placed around the edge of a lake and hold a running cable 32′ above the water similar to a snow resort T-bar chairlift. The system is driven by an electric motor and can carry up to 6 people at the same time. Cable parks are the most effective way for beginners, intermediate and high ability riders to get out on the water! 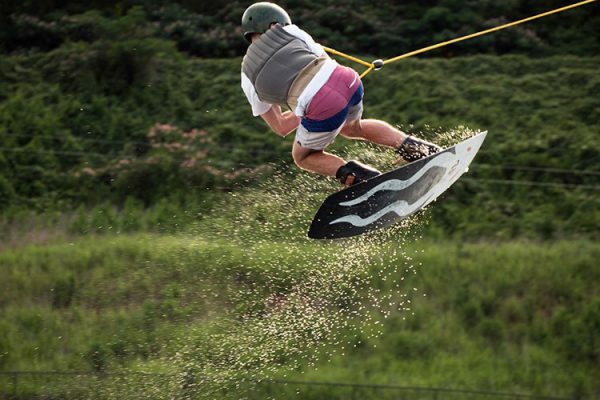 It’s a great way to introduce new riders to the sport of wakeboarding and a very economical alternative to the tremendous investment required for boat ownership and high gas prices. 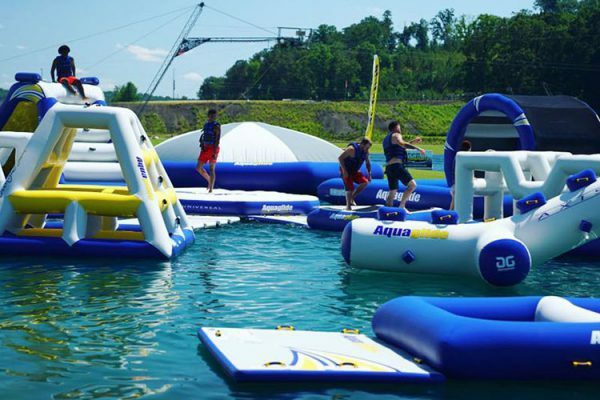 The Aqua Park, Terminus’ newest addition, is here for all of your summer fun activities! Perfect for birthday parties, team bonding, or just to cool off on a hot summer’s day. An inflatable water playground full of slips and slides, trampolines, swings, and balance beams. 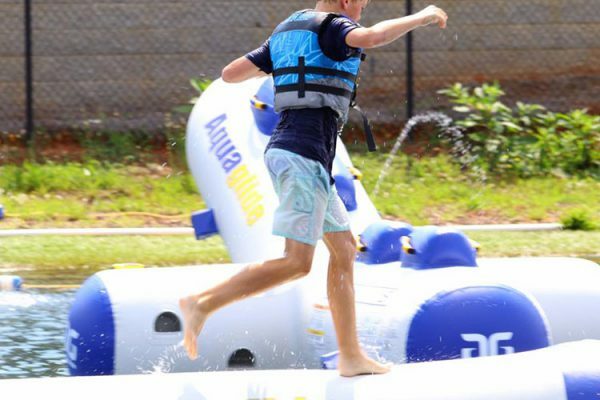 Challenge your friends on our water adventure course!